I’ve been gone for awhile as we moved into a brand new green home in a town called Moraga, CA. It was fun to pick the green upgrades, adding lots of solar, extra insulation, all LED lights, EV charging and dual flush toilets… I’ve been obsessed with my solar meter, checking it several times a day. Seems my max production thus far was on June 5th when my 5.7kW system produced 43.2 kWh. My first energy bill showed better than net zero electric usage, actually going into the positive as I paid $0 for electricity. Lots of fun for me. My solar obsession is a good lead in to today’s Regen360 podcast with Terri Wills. 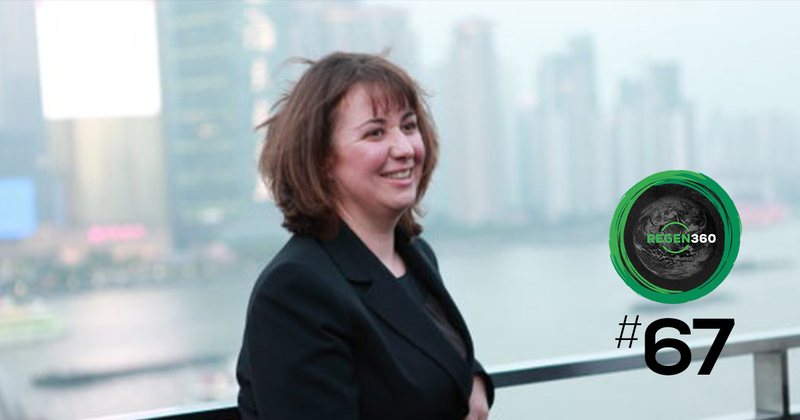 She’s the CEO of the World Green Building Council, which I founded back in 2002. The global organization now has more than 70 countries with national GBCs banding together into a “united nations” of GBCs. In my conversation with Terri we talk about the work of individual countries, such as the USGBC with its LEED system and Australia with Greenstar, the business case for green buildings and dive into the hottest trend in sustainable building – health and wellness. It’s amazing to hear about the vision, growth and passion for transformation. We learn that Terri was inspired by nature in her youth and has manifested her passion into her work in bringing our world’s largest industry, one country at a time, to design, build and operate consistent with the laws of nature and to share global best practices. Please join me to find out about the world’s largest green building organization and learn about creating your own net zero declaration. To building movements that transform! You may have heard of the pioneering and passionate sustainability legacy of the late Ray Anderson of Interface Inc., the world’s largest carpet tile manufacturer. Since Ray’s passing in 2011 Interface has continued to lead and expand upon his vision as the company’s gross revenue, PE ratio and market capitalization have grown. 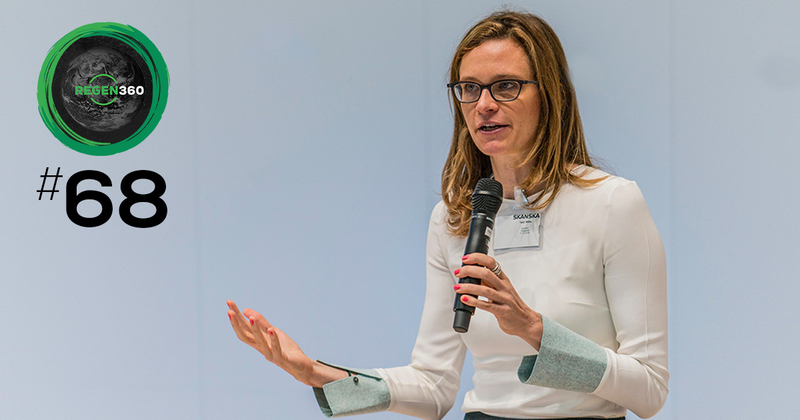 In today’s Regen360 podcast with Erin Meezan, the Chief Sustainability Officer at Interface, you have the opportunity to hear about the ambitious culture and innovative sustainability endeavours at Interface. We talk about the economics of being a global sustainable manufacturer with 5000 employees, as well as initiatives called Mission Zero, Climate Take Back and the March to 2020. It takes vision and guts to lead, especially when there’s always resistance. Interface has been at the forefront since the beginning of the green building movement, and there’s so much we can learn from their example. And by the way, it’s good for business too! Listen in here to hear my interview with Erin Meezan, the CSO at Interface to learn more about promoting triple-bottom-line profitability. I’ve always found mentors a critical part to navigating the life journey. They provide rare insight, wisdom, and perspective. If you’re lost, they can help you regain your path. And if you want to make a big change, or take the risk, they often have encouraging and sage words. But finding outstanding mentors is a hard task. I feel like our planet and certainly the U.S. right now needs a mentor. And maybe you do too. We’re losing the battle in many fronts and lost at sea in terms of politics and global warming runamuck. Hurricane Harvey and Irma punched us hard, taking life and life-sustaining that we take for granted for Houston, St. Martins, South Florida and beyond. The now regular and increasingly powerful hurricanes are a BIG wakeup call for all of us, and not just those directly impacted. However, did we hear the CALL? And will we have the insight to change our standard practices that are causing harm? More than ever, time feels shorter. In this week’s Regen360 iTunes podcast show, my dialog is with one of my favorite sustainability gurus and mentors, Bob Berkebile. We talk about rebuilding after Harvey and Irma and lessons learned from the dozen cities Bob has worked with to boost resilience by minimizing disasters and rebuilding. We also talk about deep issues like passion, purpose and legacy building. 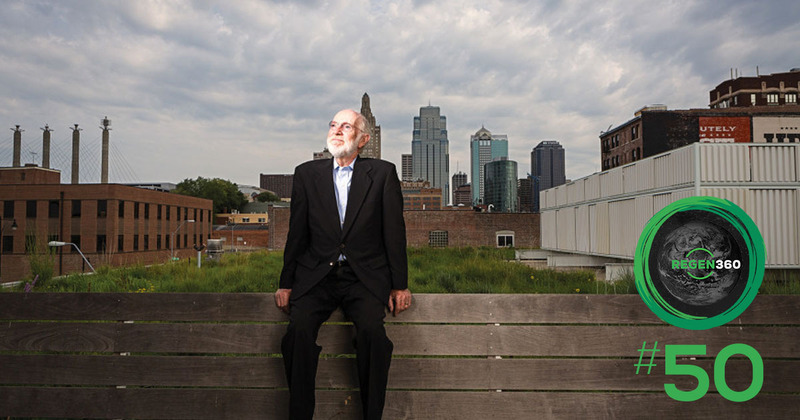 Bob Berkebile is a founding principal of BNIM Architects in Kansas City. He was the founding chairman of AIA’s Committee on the Environment [COTE], and is now an urban renewal developer reviving mixed-use communities. Bob Berkebile is now in his fourth decade of work as a designer, developer and thought leader. He never seems to tire at innovation based on vision, spirit, and inspiration. 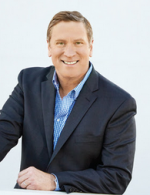 In this special Regen360 interview Bob gives us needed clarity and hope! Can you imagine a bank where the mission is to promote well-being for people and the planet: An institution where money and banking can do good for the community and its employees can bring their values to work? Well, that small bank actually exists in San Francisco and is called New Resource Bank. In full disclosure, I bank with them and have had several loans, including one that financed our previous highest rated LEED Platinum solar home. Learn about New Resource Bank and its unique sustainability values and banking products in this week’s Regen360 iTunes podcast show with its President and CEO, Vince Sicilliano. Vince has an environmental and banking background and he’s passionate about their unique integration of values a full 360. To banking with sustainability and our future! I’ve long believed that if you want to boost global sustainability, then work on greening real estate – our buildings and homes. The impact is vast in terms of energy, water and materials consumption, and health of occupants and the planet. 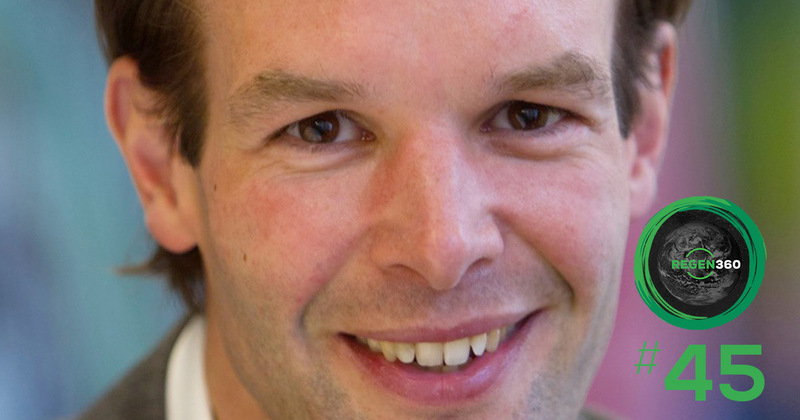 GRESB is a nonprofit based in Amsterdam [and is a subsidiary of the GBCI] and is having huge success with its benchmark tool in assessing some of the world’s largest real estate portfolios. The membership organization has participants from 60 countries, including some of the world and US’s biggest pension fund investors, such as CALPERS. Join me in this week’s Regen360 iTunes podcast show where I interview GRESB’s Co-Founder and Managing Director Sander Paul van Tongeren. We learn more about GRESB and its enormous initiative, organizational details, and annual growth, as well as what drives Sander Paul. To the greening of real estate portfolios while boosting profit! How we define a life well lived? It helps to interview someone who’s been at it for four decades and found their sweet spot for contribution and joy. 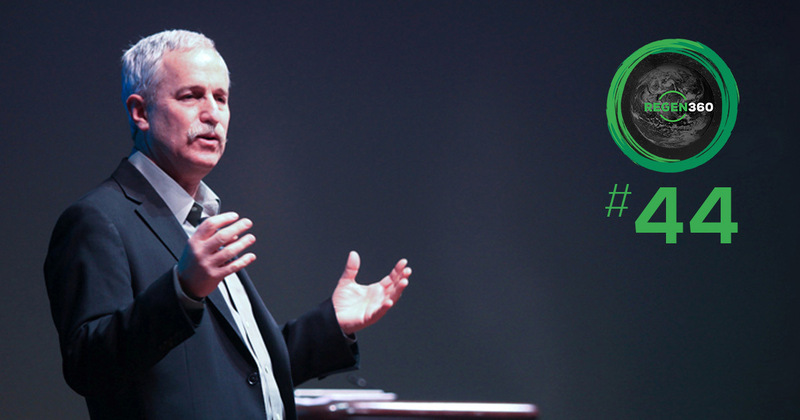 In this week’s Regen360 iTunes podcast show we hear from Joel Makower, the Chairman and Executive Editor of GreenBiz Group. They’re the producer of the VERGE conference and also GreenBiz forums and the State of Green Business report. 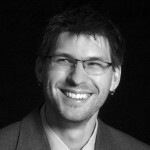 Joel is a journalist by training and loves the convergence of sustainability with technology and innovation. We discuss some of Joel’s insight into green business successes and his thoughts on the future, as well as reflecting on his active career and legacy. To the greening of business! For most of my life, we’ve taken the wrong path and failed to take the sustainable road. Capitalism fought sustainability, viewing it as another form of regulation and increased costs and risks. But to deny sustainability and its integration to all creation is to not only heighten risk but fail to reap huge financial rewards while boosting health for the planet and all living. 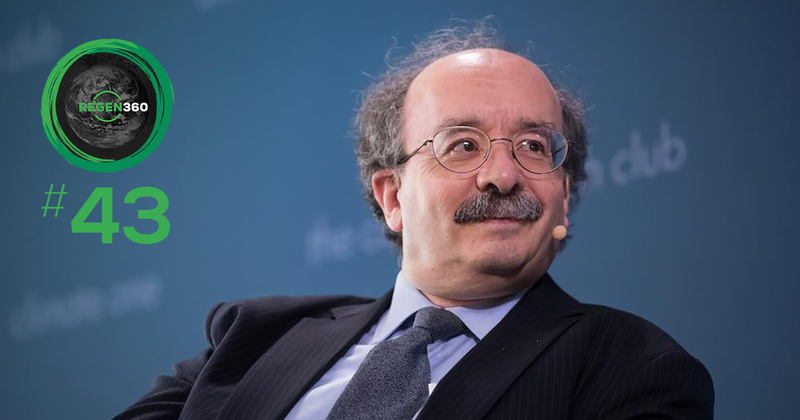 Amory Lovins helped us shift the energy paradigm in his 1976 Foreign Affairs article, Energy Strategy: The Road not Taken. His work sparked worldwide revolutions and billions of dollars of energy conservation and renewable power. Amory’s brilliance has been focussed on inventing a new triple-bottom-line economy, or as he co-authored, Natural Capitalism. He synthesizes complicated calculations the way we breathe oxygen. It seems each year he has invented another start up or ecological concept that will not only help save Earth, but add trillions of dollars of growth to the global economy. 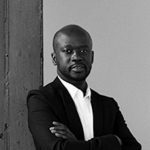 Instead of fighting capitalism like some NGOs, his organization harnesses its strength and innovation to create capital growth through enormous energy savings and integrative design. 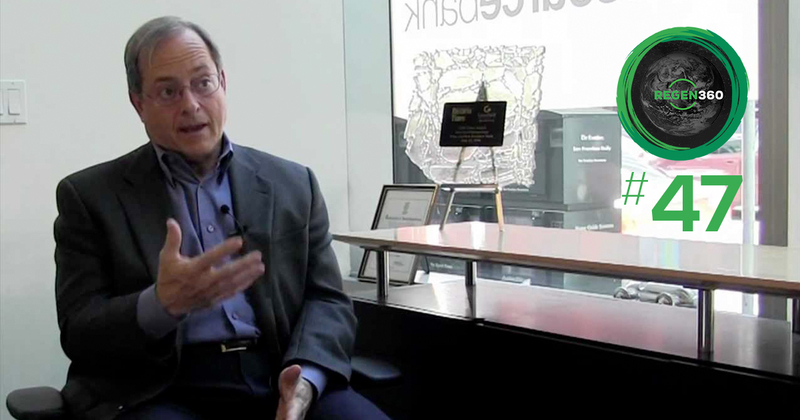 I encourage you to tune in to this week’s Regen360 iTunes podcast show to hear Amory Lovins, one of the planet’s most important visionaries. To building the road not taken together! More than ever we need organizations to step up their environmental commitments and stewardship. This requires extensive goal setting, research, improvement and measurement, and verification. Though some believe environmental performance hurts business, many are finding it can actually boost the profitability, stock performance, and brand. I remember when we founded the U.S. Green Building Council and our LEED Green Building Rating System back in the early 90s, some of our board members only wanted us to work with activist NGOs and avoid large corporations at our table. They were leery of the heavy hand of business and that they’d try to control our nascent non-profit and extinguish our lofty goals. Well, thankfully we didn’t adhere to that call and remained open to both sides to join us. One of the world’s biggest corporations actually turned out to support us the most of almost any other. United Technologies [known as UTC] not only contributed Rick Fedrizzi, our founding Chairman, and long-term CEO but provided decades of voluntary assistance, financial contributions, and advancement of our professionalism and credibility into the marketplace. 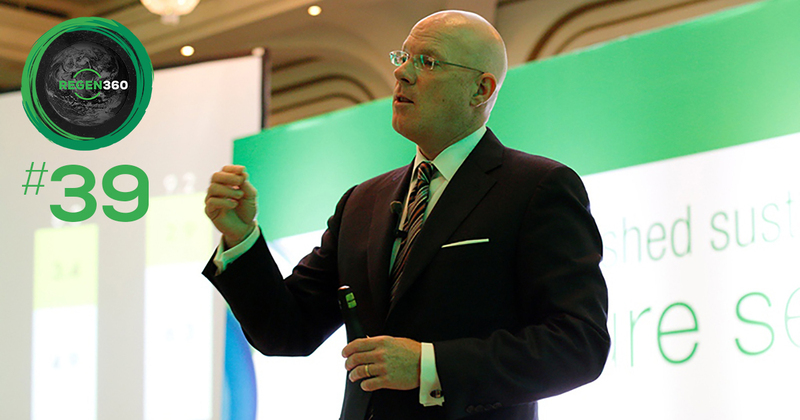 Today’s Regen360 iTunes podcast show features an interview with UTC’s Chief Sustainability Officer, John Mandyck. 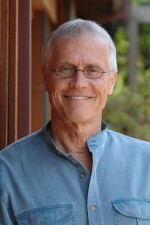 John also chairs the Corporate Advisory Board for the World Green Building Council, which I founded in 2002. John and I spent interesting times together as we worked to help foster the formation and growth of the China, Russia and India Green Building Councils. In our conversation, John informs us about UTC’s significant emphasis on the importance and benefit of adopting a deep sustainability program. UTC is not only a global leader in aerospace, food refrigeration, and commercial buildings but also environmental ingenuity and performance. We learn about UTC’s sponsorship of a fascinating indoor air quality research project with Harvard University and John’s book Food Foolish. To corporations stepping it up to helping us sustain and prosper!